Almost everyone in India or well versed with Hinduism knows the story of how the Lord Rama defeated the evil demon Ravana, the ruler of Lanka (present day Sri Lanka) at the end of his 14 year long journey from Ayodhya to Lanka while he was banished from his kingdom and forced to wander and live in jungles. But what not many people are aware of are all the places he visited during his journey. Here is a brief look at 11 important and not so important landmarks that were part of Lord Rama’s journey from Ayodhya to Lanka. 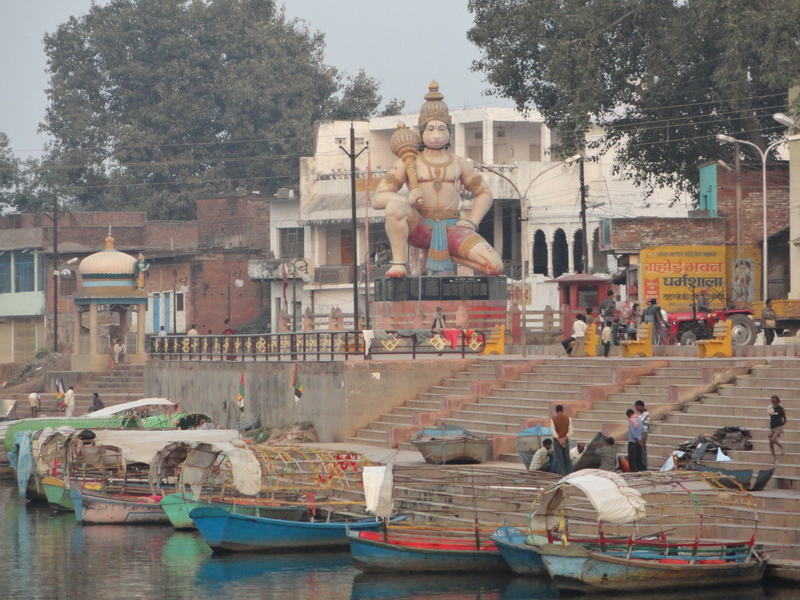 Back in the days, Ayodhya was the capital of the Ikshvaku dynasty of which Lord Rama was a member. Today it is situated in the Lucknow Varanasi rail route. This was the starting point of their journey. On having crossed the Ganga-Yamuna meeting point the three of them arrived at Prayag where they met the sage Bharadwaj who advised them to seek out Chitrakuta. Incidentally, Prayag, which is now known as Allahabad, is the first place that they stayed at after having left their kingdom behind. Here, Lakshmana constructed a hermitage on the banks of the river of. Bharata met Rama and urged him to return after knowing the real reason behind the exile. However, Lord Rama could not go back on his word and disrespect his father, and so he carried on. Here all three of them visited the sage Atri and sought his blessings. Anasuya, his wife gifted a collection of jewelry to Sita, which she later used to drop in Kishkindha, on the way to Lanka, while Ravana abducted and carried her off. Roughly translating into “five banyan trees”, this is the site (part of present day Nashik) where Surpankha the demon and Ravan’s sister in her attempt to seduce Lord Rama had her nose cut off by Ravana. When her brothers came to take revenge, they were slain by Lord Rama, which set forth a chain of events that culminated in the abduction of Sita and the fight between Ravana and Rama. Roughly “Lepakshi” translates to “rise bird”, which were the words uttered by Lord Rama to Jatayu after his wings were cut off by Ravana here when he had tried to stop Ravana from carrying Sita off to Lanka. Situated in current day Karnataka, this is the place where Lord Rama and Lakshmana met Bali and Sugriv for the first time. Not only did Lord Ram help Sugriv win the kingdom of Kishkindha, but he was also promised help in return in his attempt to rescue Sita. After Lord hanuman had managed to locate Sita, Lord Rama marked the place with his bow as the starting point of a bridge that they would build with the help of the army of apes using stones, tress and such things to cross over to Lanka. Situated in Sri Lanka, this is the place where Sita stayed during her capture. It has a temple called Sita Amman Temple located in the village called SitaEliya, which is named after Sita herself. The black soil of this region has generated much debate. Here Hanuman had set Lanka on fire and some believe the soil is black due to the remains of the demons left behind, while pragmatics believe it was hit by a meteorite. Now a beach in Sri Lanka, this was the battleground where Lord Rama fought, beheaded and defeated Ravana with the help of the Bramhastra. After Lord Rama victory, husband and wife were reunited here before starting their journey back to their home in Ayodhya.